Most peoople who know of The Other Half, the San Franscisco garage band, not to be confused with the other garage band from Chicago who recorded The Girl With The Black Hair, because of the excellent rare as hens teeth single Mr Pharmacist which would later be covered so well by the Fall. The group actually recorded a whole album a rare thing wwith the garage bands of the mid 60s who either disintegrated after one or two great singles or whose members were drafted to Vietnam which understandably put an end to their recording careers. 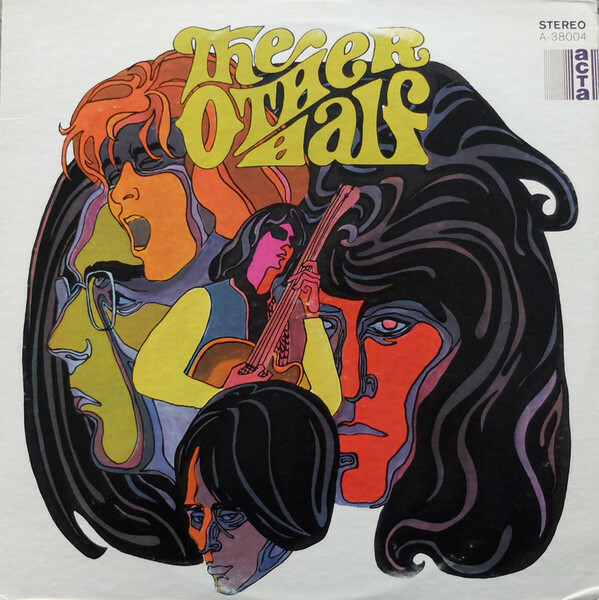 The eponymously titled The Other Half is a different beast entirely from Mr Pharmacist, being recorded in 1967 in Frisco the sound is much more blues rock which is no bad thing in my book. There are still some tracks that would fit with the garage/psych sound such as The Flight Of The Dragon Woman but mostly it is more rock focused, their sound has been likened to the Yardbirds and it is therefore unsurprising that the guitarist Randy Holman was offered tthe job or replacing Jeff Beck in that band prior to joining the Other Half. I have posted posted both parts of What Can I Do For You. Part one sounds a lot like the Doors without Ray Manzarek's keyboards. Part Two is the one that does it for me, much more of a stoner jam with some loud distorted guitar soloing which I love but I know some of you fought the punk wars to get rid of this kind of thing but I love it. Now that's a closing line.